Christopher Soghoian noticed that the developer trunk of Firefox added as a default to use Google's HTTPS search. 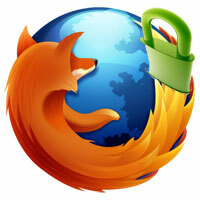 We are currently testing the change to use SSL for built-in Google searches in our Firefox nightly channel. If no issues are uncovered, it will move through our Aurora and Beta release channels before eventually shipping to all our Firefox users. This will include migrating the changes to our non-English version of Firefox, as well. What this means for SEOs and webmasters, as well as marketers, is that the "Not Provided" in your analytics "keyword" reports will just increase. Right now, I am at about 30% of all my keyword data says "not provided." I wouldn't be surprised if that jumps to 40 or 50% once this is rolled out. Danny gets more into the hypocrisy of this change, as well as the impact it will have on everyone. That's just.. lame, FireFox getting canibalized by Chrome in 2 years, my pessimistic prediction. The thing is, what is to stop Google from adding this to Chrome?